Seeing all the new apartment complexes being built and the mass amounts of people relocating to Charlotte every year, it’s no wonder that Forbes named Charlotte one of the fastest growing cities in U.S in 2016. 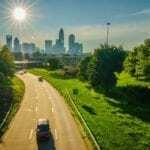 For those who are relocating and don’t know much about the Queen City, we have compiled an ongoing list of things to do in Charlotte, NC that will satisfy everyone’s preferences- whether it’s art museums, science exhibits, nightlife, nature, family-fun activities or adrenaline-pumping adventures- the options are endless! This is part of a five-part series on Charlotte Sights – check back next month for the next installment! The Mint Museum is a 145,000-square-foot facility dedicated to American and European art located right in the center of Uptown. Part of the Levine Center for the Arts, the Mint Museum features innovative exhibits that will keep visitors captivated for hours by providing an experience you can’t get anywhere else! As an added bonus, the Mint Museum has partnered with Bank of America, and grants any Bank of America cardholder free admission the first full weekend of every month! The AvidXchange Music Factory (formerly NC Music Factory) is the place to go if the music scene is where you want to be! The Fillmore, styled after the traditional San Franciscan Fillmore, brings in artists of all types that will appease any music lover. Its vintage feel gives an authentic experience to artists and fans alike. For an outdoor music experience, fans can go to the Charlotte Metro Credit Union Amphitheatre at the AvidXchange Music Factory where they can see a show and get amazing views of the Charlotte skyline. Go cheer on the Carolina Panthers at Bank of America Stadium every Sunday during the season- everyone else will be! Located in the heart of the city, this stadium holds 75,000 fans and is one of Charlotte’s signature buildings in the uptown skyline. Don’t move to Charlotte unless you’re ready to eat, sleep and breathe Panthers every Sunday in the fall! The Discovery Place is a science center dedicated to kids that makes learning about science, technology, engineering and mathematics a fun and interactive experience. The The Charlotte Observer IMAX® Dome Theatre will appeal to family members of all ages as you experience some of the universe’s most magnificent phenomenons on the largest screen in the Carolinas. Once a month, the Discovery Place dedicates a night for adults to enjoy science by hosting Science on the Rocks- a fun, interactive, themed event that includes adult beverages and games. If you’re an adrenaline junkie or prefer more passive entertainment, Carowinds is the perfect place in Charlotte to visit. Whether you attend one of the many events Carowinds puts on during the year or just go on a regular day, you are sure to have a blast. From a water park, to a children’s section, to the tallest and fastest giga-coaster in the world- there is something for everyone here. For the most picturesque stroll in Charlotte, stop by the Botanical Gardens at UNC Charlotte where you will see more varieties of plants than in any other garden in the Charlotte area. Functioning for over 40 years, the Botanical Gardens has evolved into something much more than just a standard garden- it boasts over 10 acres of outdoor space, 4500 square feet of glasshouse and many areas for learning. Stop by for a walk through the gardens or plan a visit when they are hosting a learning event! The NASCAR Hall of Fame, located right in Uptown, will stimulate all your senses and keep you entertained all day! Glory Road 2.0 is the major focal point and tells the story of NASCAR by displaying 18 different cars that have impacted the sport the most through its history. You can also honor the NASCAR legends that are featured in the unforgettable tributes. After an afternoon of learning the history of the sport, try it out yourself with the realistic racing simulators and pit crew experience. If you’re moving to Charlotte, it’s time to introduce yourself to the sport we all know and love. Lake Wylie is one of the main highlights of Charlotte during the warm months of the year. This man-made lake does more than just offer water activities- with restaurants, parks, campgrounds and neighborhoods surrounding the lake, you’ll be sure to have a good time! The lake itself offers zipline adventures, sailboat races, tubing and farmers markets. Explore everything Lake Wylie has to offer. Freedom Park is a great family-friendly place to spend time outdoors. With everything from playgrounds, to live bands, to running trails, to a 7-acre lake, this 98-acre park has a little bit of something for everyone. For the athlete in the family, spend time bouncing around between the tennis courts, soccer fields, basketball courts and volleyball courts. You can refuel at the concession stands, or bring your own food and grill out with your family and friends at one of the five grill stations. If the weather is nice, you’re sure to find a good time out at Freedom Park. Whether you’re a baseball fan or not, cheering on the Charlotte Knights is always a good time! BB&T Ballpark is located right in the center of Charlotte and is one of the main attractions during the summertime for Charlotteans. Observe America’s favorite pastime while enjoying food and drinks from local Charlotte restaurants and breweries, and, if it’s a Friday night, you can enjoy the fireworks with friends and family when the game is over! ImaginOn is a 102,000-square-foot facility dedicated to getting children involved in education, the arts, culture and multimedia. The Charlotte Mecklenburg Library and Children’s Theatre of Charlotte came to together to create this resource for children that includes two state-of-the-art theatres, a dedicated library space for kids 11 and under, four multi-use classrooms, a teen-only library, a multimedia production studio and interactive exhibit space in order to create this cultural hub for children of all ages. Come to South End the first Friday of every month in order to experience the South End Gallery Crawl. South End is home to the largest amount of art galleries in the city, and once a month Camden Road comes alive during the evening with live music and refreshments at the different galleries. This monthly event is the perfect way for the art novice to come and experience Charlotte’s art scene. Pinky’s Westside Grill is a Charlotte staple and one of the best dive restaurants you will ever experience. Featured on Food Network’s Diners, Drive-Ins, and Dives, Pinky’s is loved by all, and its inexpensive price point is only an added bonus. Known for their unique burgers, hot dogs, sandwiches and fried pickles, Pinky’s must be experienced by every Charlottean at least once. Coyote Joe’s is the epicenter of country in Charlotte. This country western bar is native to Charlotte and is the perfect destination for those who live in their cowboy boots or someone who just wants that country experience for a night. Complete with a stage, dance floor, two bars and a mechanical bull, this establishment has plenty to keep all patrons entertained. Only open three nights a week, you must find time to stop whether it’s for a concert, line dancing lessons or just a drink. Pro tip: bring cash, as they do not accept any cards. Every basketball season, Charlotte lights up purple and teal and becomes Buzz City to celebrate the city’s NBA team. Owned by basketball legend Michael Jordan, the Hornets are a force to be reckoned with. The team has a state-of-the-art facility right in the heart of the city that seats over 19,000 for every game and offers amenities like a fan zone that is open for indoor tailgating, as well as socializing areas for during the game. Everyone should make it a priority to cheer on the Hornets at least once a season. Inner Peaks is the largest full-service indoor rock climbing gym in the Charlotte area. It is the perfect place for rock climbing enthusiasts or those just looking to have a fun night out. This climbing gym features 13,000 square feet of climbing walls that reach up to 25 feet high, climbing terrain for all levels and ages, 40 top rope stations, maintained routes that are changed weekly and teaching areas to sharpen skills. Inner Peaks is the perfect spot to get in a great workout while also having an amazing time! 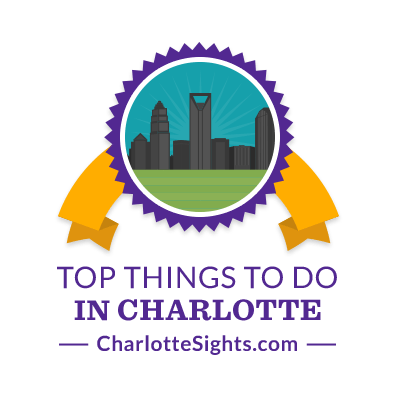 A self-guided scavenger hunt through Charlotte is the ultimate way to explore and learn about the city you live in. With Big City Hunt, you race against the clock to solve 15 clues that take you around the city. The best part about Big City Hunt is there is no specified time and place you need to be, you simply purchase a launch code and begin your scavenger hunt whenever you and your team are ready! Treehouse Vineyards is a family-owned vineyard and winery located just outside of Charlotte in Monroe, North Carolina. It opened to the public in 2010 and produces hand-crafted Cabernet Sauvignon, Merlot, Dry White Blend, and several award-winning native Muscadine wines. As its name insinuates, Treehouse Vineyards has several treehouses available for rent that suit different needs from overnight stays to simply pre-dinner drinks. It is the perfect place to unwind and relax away from the chaos of the city. The Comedy Zone in Charlotte is located in the Avid Xchange Music Factory and is the perfect place to get a good laugh in. The Comedy Zone has a show seven nights a week and every single one is better than the last- you can’t go wrong with your show selection. Not only will you enjoy a great show during your visit to the Comedy Zone, but the food and drink menu will not disappoint either. 10 Park Lanes is fun for all ages- it is a bowling alley with an arcade, outdoor live music, bocce ball, corn hole, ping pong tables, and a gourmet menu with 32 craft beers on tap. This one establishment is able to combine a club, bar, restaurant, bowling alley and family hang out in one location. Whether you go during the day for some afternoon fun or at midnight for a great night out, 10 Park Lanes is fun for all! One thing Charlotte has gotten down pat is their combination of fitness and beer – most of the breweries around town have running clubs or fitness classes that are then followed by mingling with a pint of beer. These clubs not only give you an incentive to stay active, but they are also a really great way to meet people. Different breweries hold their running clubs on different days of the week and at different times so that almost anybody can find time to go. NoDa Brewing, Sycamore, Triple C, Peculiar Rabbit, Heist Brewery and Brazwell’s are just some of the different locations that host running clubs. Get in contact with them for specific days and times and sign up! Located just outside Charlotte in York, South Carolina is Windy Hill Orchard. This family-owned orchard is the perfect way to welcome the cooler seasons – they offer apple picking, hot apple cider donuts, homemade apple cider and hard cider. Windy Hill is only open during the fall so be sure to make time for it while you can. Whether you decide to make it a family outing or fun day with friends, apple picking with a nice apple cider (hard or regular) is fun for everyone! The New York Times named 7th Street Public Market as one of the top things to do in Charlotte, and it’s no wonder why. This urban food destination is the perfect place to take anyone because it has plenty of local vendors to choose from, all of which are amazing. Whether you’re in the mood for sushi, to cheese, to coffee and pastries, to crepes, to pizza and even ice cream- you can create the meal of your dreams. After you are completely stuffed from all the great eats, you can then shop from the different local sellers at the booths in the back. 7th Street Public Market is a one-stop foodie haven that everyone must experience at least once. The Charlotte Independence is relatively new to the United Soccer League, having joined in 2014 and began playing in the spring of 2015, but it has already become a large piece of the Charlotte sports world. Games are held at Ramblewood Stadium, which is a luxurious, natural grass facility that holds up to 4,700 fans. Going to multiple games and watching the fan base of this team grow is only one of the benefits of watching the Independence play. There are a variety of tickets with plenty of affordable options, which makes it easy for anyone to attend! Hands On Charlotte is a great way to get involved and help out the Charlotte community. They are a nonprofit volunteer service that strives to improve the city and help those in need. Everyone has different preferences when it comes to the type of community work they want to lend their time to, which is why Hands On Charlotte is so great. They offer a variety of opportunities that range from helping homeless families, guiding at-risk youth, tutoring, feeding the hungry, environmental help and much more. Volunteering with Hands On Charlotte is not only a great way to help others, but it is also a good way to meet other Charlotteans! Darby Acres Farms is a family-owned and operated petting zoo that operates by appointment only. The owners make the animals their top priority and treat them as part of the family. All animals are USDA certified, which ensures that they are all healthy, vaccinated and their quarters are clean and safe. Darby Acres Farms offers different services including a traveling petting zoo and pony rides, which is great for any party. They also host horseback riding, summer camps and safari tours at their location. The safari tour has different ticket levels available for purchase, all at great prices. On the tour you will be able to handle a variety of animals ranging from sugar gliders to skunks, armadillos to kinkajous and so much more. This is a destination for people of all ages that will be fun for all! Trolley Pub is a pedal-powered, pub-crawling trolley that can hold up to 14 people at one time! Explore the NoDa neighborhood with your friends on a private pubcrawl or do a Mixer Tour that allows you to fill part of the trolley with friends and Trolley Pub will fill the rest with another group. The private pubcrawl allows you to pick your stops and final destination while the Mixer Tour has a pre-selected three-stop journey. The Trolley Pub allows you to bring your own booze and snacks so you can have a night of fun fully tailored to your taste! The Charlotte Checkers have been a staple in Charlotte for a long time, having first moved here in 1956 for 20 years and then returning to Charlotte again in 1992, which is why going to watch a game at Bojangles Coliseum is a must for everyone who lives here! The Checkers are not only a large part of the Charlotte community because of how long they’ve been here, but also because they are committed to helping the community by donating a total of $3.7 million since 2006 and have also been the winner of the American Hockey League’s Award of Excellence for Community Service three out of the last six seasons. This is an organization that is not only worth the support, but is a lot of fun while doing it – go cheer on the Checkers this year! Lucky Dog Bark and Brew is located in both Charlotte and Lake Norman and is the perfect place to treat yourself and your loyal furry companion. This is more than just a bar that allows dogs, this is a full-service dog grooming and boarding facility that also comes equipped with a fully-stocked sports bar, complete with 15 TVs! At Lucky Dog, there is plenty of indoor and outdoor space for you to socialize with your friends and for your canine to socialize with others (people or dogs). It’s a great spot for dog owners and dog lovers alike! The Richard Petty Driving Experience is something all the adrenaline junkies must try at least once! Drive around the 1.5 mile racetrack at speeds of up to 160 MPH! There are multiple packages to choose from depending on your passion, budget and time allowance, which makes it available to pretty much anyone! If you like to get your heart racing and you’re in the Charlotte area, you must give the Richard Petty Driving Experience a try! Whether you’re from out of town, are a recent transplant, or have lived in Charlotte for years, Funny Bus is the most entertaining way to tour and learn about the history, architecture and sights of the city. This 90-minute tour is more than just informational and informative, it is funny- attendees can expect similar humor to what you may find in a comedy club. And while the tour does have an R-rating and may not be suited for children, they will be offering a PG version this winter so that the whole family can enjoy. Every Monday and Wednesday, STAX Crossfit offers a free outdoor bootcamp that anyone can attend. While the price (or lack thereof) is a huge draw, the coolest part about this bootcamp is the team of instructors- Randy Moss and Emily “Breeze” Ross-Watson. For those who don’t know, Moss is one of the greatest NFL wide receivers of all time and Ross-Watson is a crossfit sensation whose videos have gone viral numerous times. These two have joined forces to help Charlotteans lose weight, tone-up, improve energy, build strength and increase endurance. A perfect Saturday activity if you’re in the NoDa area is the NoDa Eclectic Marketplace– this is a pop-up shop that only opens on Saturdays, but truly embodies the “Art & Community first” mindset of NoDa as it features artists, farmers, craftsmen, artisans, collectors, and performers. The NoDa Eclectic Marketplace is a great spot to find unique gifts for loved ones or yourself! It has plenty of handmade, local and unique goods to choose from! You can’t really consider yourself a Charlottean until you’ve experienced one of Charlotte’s landmark restaurants- Mr. K’s. Mr. K’s Soft Ice Cream opened its doors in 1967 in the same location it is now. For almost 50 years, they have served some of the best dip cones, milkshakes, hotdogs and hamburgers in the area- and you can’t beat the price either. Everyone should make it a point to stop by and treat themselves to the best ice cream cone in the city. Atherton Mill has quickly become the go-to destination for trendy shopping in South End. This shopping center not only has an awesome selection of stores, but it also has the interesting design and architecture that most stripmalls lack. With the recent additions of O-Ku Sushi, Anthropologie and Free People, and the future coming attractions of Warby Parker and Alton Lane, Atherton Mill is providing attractive retail space around the uptown area. Escape rooms are spreading like wildfire and becoming increasingly more popular because it truly a fun time for all. Codescape sets itself apart from the competition in Charlotte by combining both physical and mental puzzles that have been designed by those who helped create ‘The Wizarding World of Harry Potter’ and ‘Halloween Horror Nights’ at Universal Orlando. The best part about Codescape is that they offer different themed rooms so anyone can have a good time! Shop local and buy your produce at the Charlotte Regional Farmer’s Market– it is open most days of the week year round. It is not only the perfect place to buy all your produce, but you can also find vendors selling anything from high-quality meats to delicious cheese to scrumptious baked goods, jams and jellies to unique handmade crafts and even beautiful fresh cut flowers and plants. One of the best parts of the Charlotte Regional Farmer’s Market is that it gives you a chance to meet the person whose hard work went into their goods, creating a sense of community. Charlotte Roller Girls, Inc. (CLTRG) is a skater-owned and operated sports organization that started in 2006. They practice flat-track roller derby, a truly entertaining spectator sport. Not only will you be entertained by simply watching the girls battle it out to victory, but the roller girls make sure to incorporate crowd participation with fun games and competitions! The Charlotte Roller Girls definitely make for a fun night out with friends and family. Chef Alyssa’s Kitchen is the perfect way to learn to cook or, if you already have a good base knowledge, fine tune your skills. The mission behind Chef Alyssa’s Kitchen is to teach healthy and sustainable cooking for others to enjoy. There are class options for every level of chef out there and each class has a different theme which ensures there is a class for anybody. This is the perfect experience to bring a friend or significant other, or go solo and meet others in your city! Ninety’s Ice Cream & Sandwiches is the perfect one-stop shop for any and all cravings. You can start with a delicious sandwich and then top it off with dessert, or you can just jump straight to the sweets. They have recently become notorious around Charlotte for their macaron ice cream sandwiches and their decadent cereal-inspired milkshakes. Whatever you choose, you can’t go wrong, and the best part is- Ninety’s will not drain your wallet! If you’d like to spend more time enjoying the arts, the Blumenthal Performing Arts Center is the perfect place to start. Blumenthal provides Carolinians with fine arts of all kinds from opera, to ballet, to symphony and Broadway plays; the wide variety of performances make it easy for anyone to find a performance they want to see. You’ll enjoy the sentiment of Broadway without having to make a trip to New York City. If you’re in Uptown and looking for the perfect way to spend your evening, you should definitely check out Studio Movie Grill. The concept behind Studio Movie Grill is combining the “dinner and a movie” idea into one establishment. Get to your seat 20 minutes before your movie showtime to place your food and drink order and it will be delivered to your seat as you enjoy the film. As an added bonus, Studio Movie Grill does $5 Tuesdays where movie tickets are only $5 – a great bargain! The Evening Muse has been a Charlotte staple for over 15 years– located in the heart of the Arts District in NoDa, this place is the perfect spot to catch some local, regional and even national talent. No matter your music preference, the Evening Muse has played it- from hip-hop, to jazz, to pop and reggae. Go and enjoy some music while drinking wine and beer! When Abari Game Bar opened its doors in 2016, it was a relatively new concept to the Charlotte scene: a bar and arcade. It is the perfect location to go and let loose like an adult while also embracing your inner child, as they have a great selection of alcoholic beverages as well as a fantastic selection of new and vintage arcade, console and pinball games. Be sure to check out Abari if you’re looking for a different vibe for your night out! For those who love coffee in its most basic form, Not Just Coffee is the best place to get your caffeinated pick-me-up. They utilize the pour-over technique when brewing coffee because “the coffee it makes is so clean, so round and fruity, that you can fully taste all those complex layers of flavor.” At Not Just Coffee, they use local resources from local suppliers and get their beans directly from farmers. With convenient locations around Charlotte, it’s easy to get coffee no matter where you are! Everyone has an inner Mariah or Whitney just waiting to be unleashed- Jeff’s Bucket Shop is the perfect place to let it happen! Whether you are a natural star or need a little liquid courage, karaoke at Jeff’s will be the highlight of your weekend. With great nightly drink specials and a dive-bar feel, Jeff’s Bucket Shop is a local favorite and must be experienced at least once. The high temperatures and humidity during the summer months in Charlotte can be hard to bear, but a cold treat from Pelican’s Snoballs can be just the thing you need to help get you through the heat. These family-owned stands serve snoballs, which are fluffier than Shaved Ice and more flavorful than Snowballs. With over 100 flavors and only about 150 calories per snoball, you’ll want to keep coming back for more! The Hounds are Charlotte’s very own Major League Lacrosse team. Founded in 2012, this team is relatively new to Charlotte’s professional sport team roster, but it has quickly grown in popularity. If you go to a game at American Legion Memorial Stadium, you not only get the enjoyment of seeing a lacrosse game, but the views of the Uptown skyline are incredible. Charlotteans love to go catch a game during the season, and the variety of ticket options available make it a fun and affordable summer activity! Everyone likes to kick back in different ways- if your idea of relaxation includes a nice cigar, the Charlotte Cigar Club is definitely the place for you! Located just outside of Uptown, this establishment has friendly and informative staff that will help select the perfect cigar for you, and their selection of cigars is top notch! Take a load off after work or on a weekend at the Charlotte Cigar Club. As one of the largest and most well-known comic retailers in the country, Heroes Aren’t Hard to Find is Charlotte’s top destination for comics. Located in Elizabeth, this store has every kind of comic you could want, from new comics to back issues, graphic novels to Silver and Golden Age comics, and even manga- if you want a specific comic, chances are Heroes Aren’t Hard to Find has it!